The Peripheral, William Gibson (Penguin/Viking 2014): Gibson time travels, from the economically bereft American South to a socially bereft future London, where climate change has wrought its sneaky damage and only tech has saved humanity — at the price, perhaps, of its humanity. The book needs its own review — there are plenty out there, and this one by Keith Stevenson tags a bunch of my responses (yeah, the tracking device, way too convenient) — but suffice to say, I love Gibson’s writing. Here’s a protag who is perhaps slightly under-equipped to handle the situation in which, tired and lonely though not alone, he finds himself; here’s another who is coping very well with it, thanks, due to her smarts, and those family and friends in dangerous places. There was little tension, though, and the happy endings all round left me a bit meh, but the ride was comfortable (but not safe — Gibson does not err on the side of over-explanation, bless, though some of the sentence fragments actually jarred me from time to time) and the view deftly drawn and suitably gloomy in all the right places. Makes me want to read Neuromancer et al all over again. 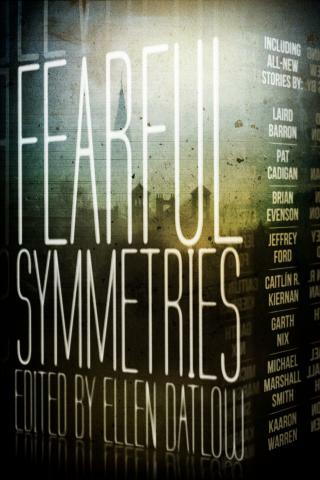 Fearful Symmetries, Ellen Datlow (ed) (ChiZine 2014): I helped Kickstart this tome and it was money well spent; a solid bunch of spooky yarns. One, though, blew my socks off; it dispensed with linear narrative in a way that made my head spin — that it was partly set in New Orleans probably helped, sure, but wow: ‘Ballad of An Echo Whisperer’ by Caitlín R Kiernan floated my boat like few other short stories I read last year. 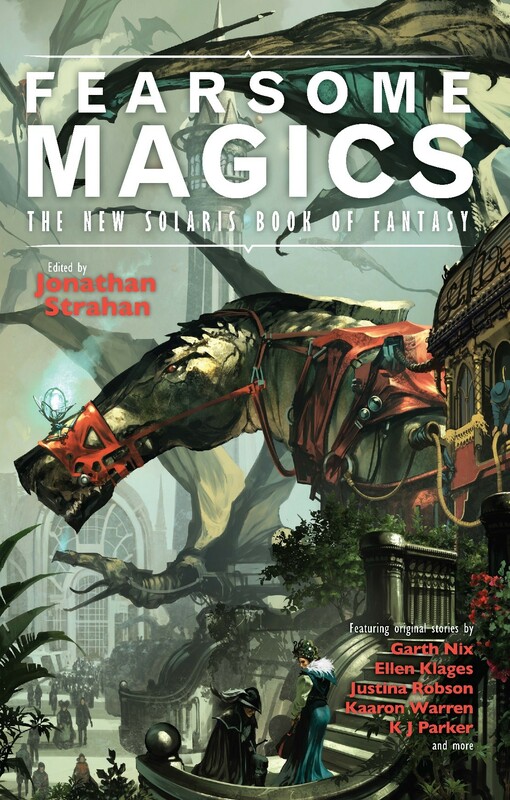 Fearsome Magics, Jonathan Strahan (ed) (Solaris, 2014): One of the strongest anthologies I read last year, with not even a handful of yarns that made me go ‘meh’. While magic was the core theme, the variations to be found within are wide and wonderful: faery magic, science as magic, high fantasy, urban fantasy. Strahan has conjured a strong field for this table of contents and they cast quite a spell. I hit if:book Australia’s Bookcamp last Friday, and it was cool. I found out about some very neat exercises in geo-writing: Matt Blackwood’s MyStory project, and his other exercises in using QR codes to bring readers to stories, or vice versa. Locative narrative, geocaching stories, however you describe it, puts the story inside the location, or allows the reader to experience the actual setting of the story at the same time as the story … here’s a video interview out of this year’s Emerging Writers Festival that explains it better. On a similar theme, Hitotoki ties experience to a map, some working better than others: status updates, not so interesting; environmental interaction, w00t! Another cool link to come out of the ‘unconference’: Small Demons. Linking books by subject matter. I’ve yet to delve into it too deeply — somewhat time poor at the moment and this website looks like a massive procrastination tool — but I love the idea of tagging books by quirks, locations, songs … When I think of all the music I’ve discovered thanks to mentions in books, and the joy to be found in paying homage to musos in the written word in the hope of spreading similar love, yeah, this idea really appeals. Chartreuse + Cocteau Twins = Poppy Z Brite and ? and ? And finally, a word of wisdom from guest Craig Mod for those going digital: can you do it better than Amazon? A musical note to finish on: big hugs to Sarah Calderwood, whose solo album As Night Falls was a finalist in the ARIAs for best world music album (announced today, being segregated from the ‘popular’ categories announced in November)! Right up there with Dead Can Dance! What a thrill to see a mate earning such renown! JENNY Blackford gave up her day job in 2001, and has been writing ever since, in between spoiling the cat, cooking and gardening. With husband Russell, she lived 30 years in Melbourne before returning to her hometown of Newcastle in 2009. In the same year, she was a judge for the World Fantasy Awards. She has had 20 stories published: eight for adults and 12 for children, and four poems, plus the historical novella The Priestess and the Slave. Her latest publication is ‘The Dragon in the Tent’, a magical circus story, in The School Magazine, which has also recently accepted a cat poem, ‘Soft silk sack’. Her latest publication specifically for grown-ups was ‘The Sacrifice’, in Aurealis 47. Jenny’s website is www.jennyblackford.com and she blogs at Living in the Past. What is your approach to reinvigorating the age-old story of Medea? Is that what made you pick it? Modern people don’t tend to take Medea seriously as a Bronze Age priestess of Hekate, as a powerful sorceress, or as a goddess, grand-daughter of Helios, the Sun, but the ancient Greeks certainly did. She’s an amazing character, and the Bronze Age –- the era of the Mycenaean Greeks -– is my absolute favourite. Just imagine a glowing, golden-haired goddess-princess sitting on a throne carved out of rock crystal with golden monkeys inlaid on the back. I’d loved the story ever since I studied the 5th century BC Euripides play Medea (in Ancient Greek) as part of my degree in Classics. After all the modern retellings that concentrate on how ‘heroic’ Jason was, and what a monster Medea was to kill her brother and her children, I was astonished to see Euripides rip into him so cuttingly, and so appallingly accurately. Jason could never have brought the Golden Fleece back to Greece without Medea’s help -– but a few years later, he wanted to trade her in for a younger, better-connected princess (not foreign witch), and expected Medea to be happy about him providing a better future for their children! Euripides converted me to Medea’s side, and I want to convert everyone else. When you wrote The Priestess and the Slave, was your inner fantasist crying out to add fantasy elements or was 5BC fantastical enough? When Eric Reynolds (the editor/publisher of Hadley Rille Books) asked me to write him a strictly historically accurate novella set in ancient Greece, my first two questions were whether I could use Bronze Age Greece (no – it had to be Classical Greece, 5th century BC), and whether I could add fantasy elements (no — it had to be purely historical). I shrugged and got on with it. Once I started to write, it didn’t matter. Living inside the head of a slave girl in the plague years of Athens, or a Pythia in Delphi, was a strange and intense experience in its own right. And the characters believed totally in their gods, who are almost characters in their own right. So much -– but a few that come to mind are Tansy Rayner Roberts‘ Creature Court trilogy, Alison Goodman‘s Eon/Eona duology, Kim Wilkins‘ novella (‘Crown of Rowan: A Tale of Thrysland’) in Jack Dann and Jonathan Strahan’s Legends anthology. Aussiecon 4 seems hardly any time ago! Wasn’t it only yesterday? One very sad change, though, is the deaths of Sara Douglass and Paul Haines, both from cancer. Valete. Queensland Writers Centre is compiling a booklet, Books from our Backyard, of Queensland authors to have had a book published in 2011. Must be first edition, paper or e-book, with ISBN and cover image. Details at the website. Also, the centre has compiled a website of reaction to the summary cancellation of the Queensland Premier’s Literary Awards by incoming premier Campbell Newman. The centre is looking to salvage something from the debacle and provides some avenues for reaction to the move. A separate push is underway to establish the Queensland Literary Awards. In award news, and much more positive all round, Aussies Jonathan Strahan and the gang from Galactic Suburbia podcast have made the shortlist for the Hugo Awards — Strahan twice, for best short form editor and also his co-hosted Notes from Coode St podcast. Way to go! The Blood-Red Pencil hosts two posts about the life of agents, including their changing role in an industry where self-publishing is no longer the path of last resort. At the Lair, Sean Williams and Karen Miller talk joining Forces with the Star Wars franchise. In Lisa Hannett’s Tuesday Therapy (it’s been a busy week), Kim Falconer offers some down-to-earth advice about setting goals and achieving them despite all the good advice. In today’s Theraphy, Angela Slatters offers excellent advice about both offering and receiving favours of a literary nature. Looking ahead: Swancon 2013 has announced a guest list of Gail Simone, Charles Stross, John Birmingham and Lucy Sussex. w00t! Tansy Rayner Roberts’ Creature Court series is pushing into overseas markets — great to see a publisher investing in local talent. And finally, this piece from Call My Agent! about the cultural cringe and Australian novels. 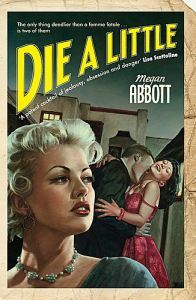 I’d like to think that the efforts of our fantasy, crime and romance writers, in particular, are changing the apparent reluctance of readers to buy locally … This post riffs off a previous one about why it’s hard to get an Aussie novel published, which kicked along a meme about ‘what Australian book have you bought recently’. You don’t buy local just because it is local, of course, but because it’s local and good: it’s that last part that has had buyers doubting, but they’re out of excuses these days. Now it’s how to raise awareness in an ever-crowded market place. 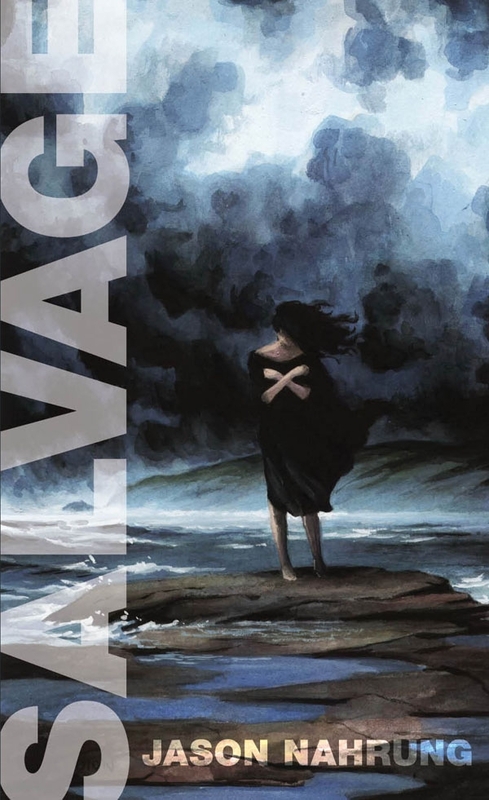 Late addition: I’ve been meaning to add 20c to this excellent post about the value of a book cover over at Patrick O’Duffy’s place, but that’s gonna have to wait for another day. When you see the amount of quality info Angry Robot has packed onto that back cover … wow. The absence of a back cover on an e-book — that requirement that the browser has picked up that info on the web page — is an interesting quandary that I haven’t got around to pondering in any meaningful way. Patrick, it’s up to you!